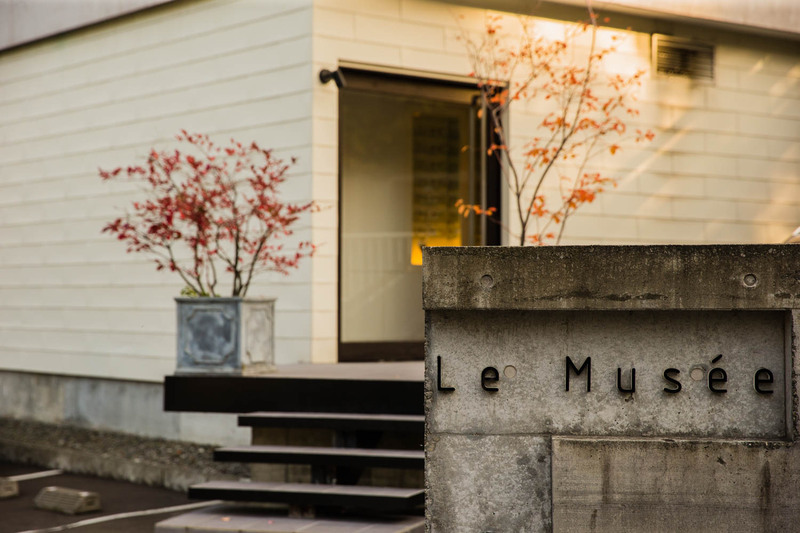 True to its name, Le Musée is like a chic modern art museum. 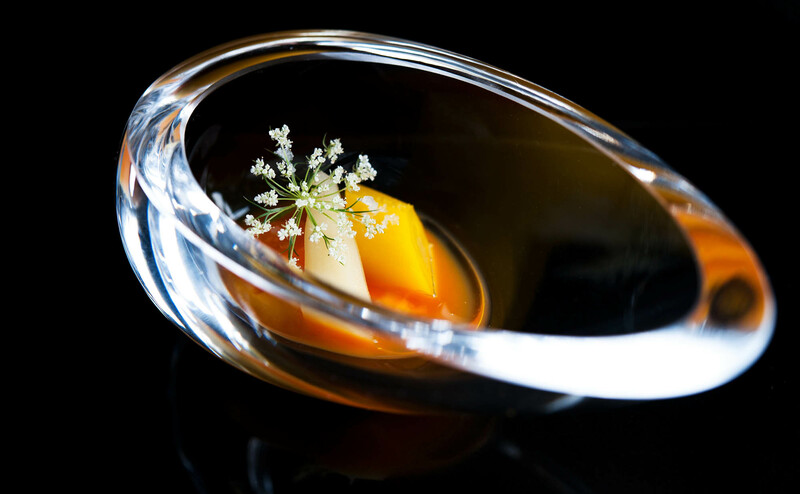 And like an artist, the chef presents an artistic display of creative gastronomy, using the blessings of Hokkaido’s rich natural environment, that is avant-garde yet warm and approachable. Despite its rather remote location, the secret of Le Musée is out. Detour to Sapporo for an unforgettable experience. Le Musée is a free-standing restaurant nestled among the green of a small hill in a very wealthy neighborhood near Maruyama Park, Sapporo. Heavy doors open into a very spacious restaurant adorned with fabulous large paintings. From each of the generously spaced tables with deep, comfortable chairs and tableware in earthy tones, guests can see into the open kitchen where chefs work quietly but at high speed to prepare the day’s delicacies. 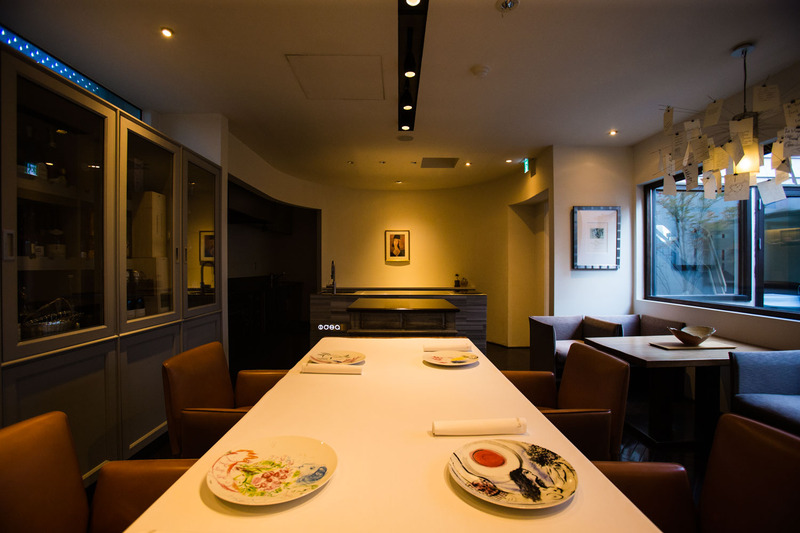 Upstairs you can find three private rooms, one of which serves as a Chef’s Table, the best seat in the house where a lucky few can watch as Chef Ishii creates mouthwatering and eye-popping dishes right before you. Modern furniture and accessories and the striking Ingo Maurer lighting filled with personalized messages take you into a different world to be both stimulated and relaxed for a while. 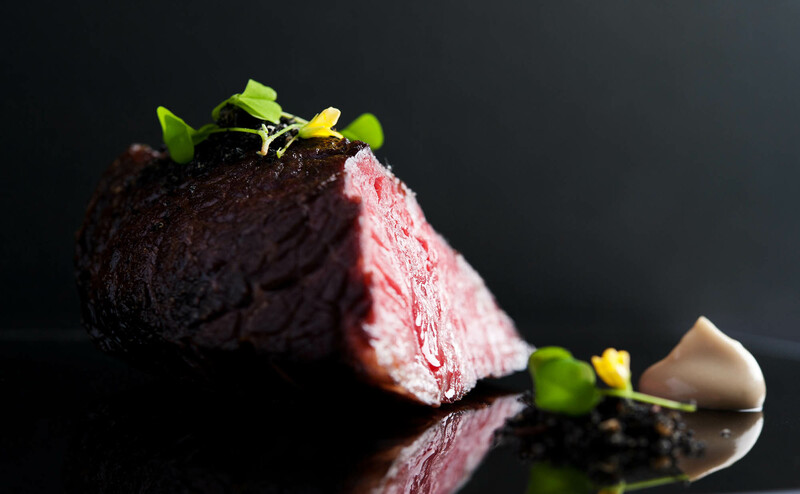 Chef Ishii takes a scientific approach to determining the best way to draw out each ingredient’s ultimate flavors and textures, but the rest is pure passion. 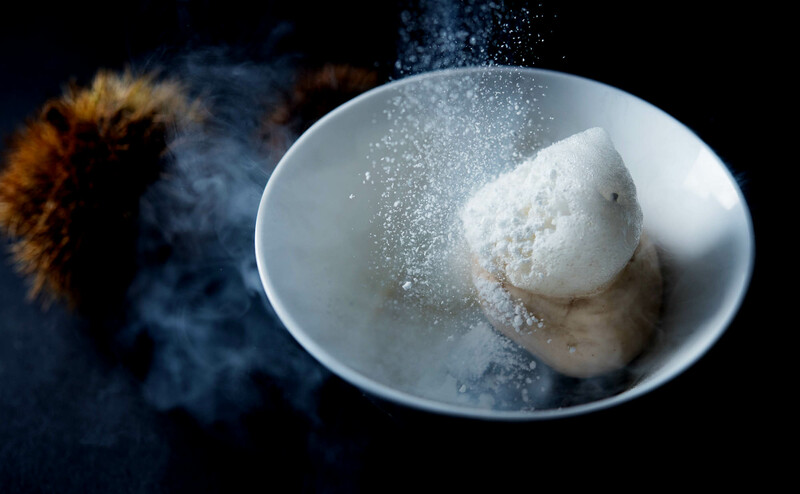 At first glance, Le Musée cuisine seems to typify modern and even molecular gastronomy, with its artistic appearance and creations involving liquid nitrogen. And yet there is nothing cold or otherworldly about it; it is deeply warming and satisfying cuisine. 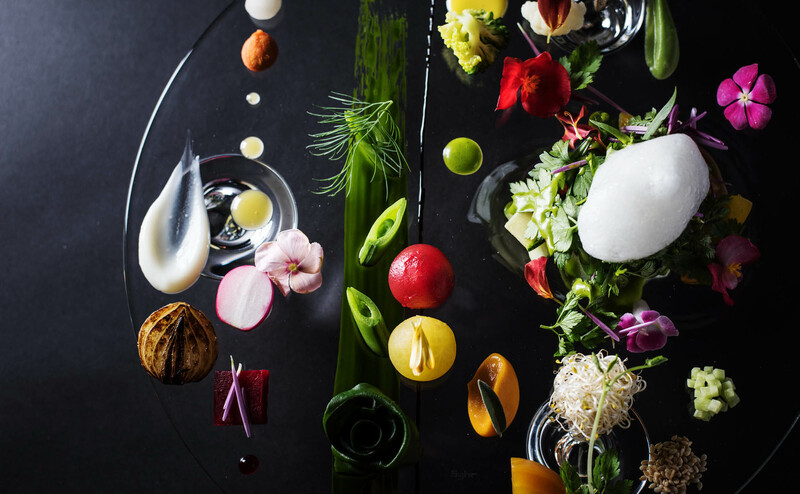 Originally an aspiring designer, Chef Ishii was later captivated by cuisine and uses each plate as a canvas for artistic expression. But the message goes deeper yet. He wants guests to taste the delicacies of Hokkaido, and through those flavors to feel the true beauty and richness of the land: the harsh snowfall of winter followed by spring thaw, brilliant greens of summer and the colorful brocade that autumn brings. The apparent simplicity of each dish hides the countless steps of preparation behind it, and not a single element is there for show. There is meaning behind each little touch and flair of presentation to maximize guests’ enjoyment. Chef Ishii strips everything down and then builds it back up again to create truly innovative, exciting and delicious cuisine. For safety and pure flavor, Ishii has utmost confidence in the ingredients found at home in Hokkaido. He travels the vast island in search of the best, meeting with producers and hearing their stories. He wants to know their thinking behind production and how that weaves with his endeavors and philosophy. The context, love and passion behind the rich Hokkaido produce and proteins are key elements in the creation of interest and superb flavors. Fascinated by the stories and impressed by the produce of so many that his suppliers now number more than thirty, Ishii jokes about the amount of time it takes to process all those transactions. Avant-garde, a risktaker, and a pioneer of gastronomy in Japan, Chef Ishii was born and raised in Hokkaido. Originally planning to become a designer, he feared he may never get to eat with that career choice, and turned his sights to cooking. Some tips from his mother who holds a cooking license also helped, and he enrolled at culinary school. Ishii joined the Sapporo Prince Hotel for a few years before taking himself to Europe to train in France, Italy and Spain. A connection with a French chef he had worked with in Sapporo led him to Malaga, Spain, and much of his six months there was spent contemplating the life he wanted to live. He discovered he really did want to be a chef and on his return to Japan he spent six months at Italia-tei before training at Enoteca for seven years. At the age of 31, he took an enormous risk with a big loan, bought a block of land and opened Le Musée. He built it as a one-floor building and has subsequently extended it to three stories. During his time in France, Ishii was thrilled to visit the Le Musée Marc Chagall, an art gallery of his favorite artist in Nice, and the experience moved him so deeply that he chose it for his restaurant’s name. His risks and dreams reaped rewards as the restaurant gained quick acclaim for its gastronomic approach. If Molière represents the beginnings of French cuisine in Sapporo, Ishii proudly considers his restaurant the second generation of that genre. 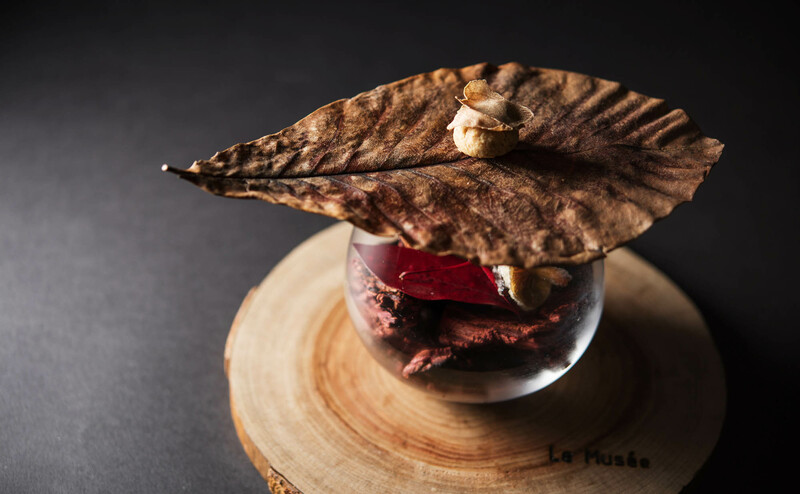 And just as Ishii was touched by his visit to Le Musée Chagall, there is no question that for those who include dinner at Le Musée on their itinerary, the cuisine and ambience will leave a deep impression. Ishii firmly believes that cuisine is an expression of oneself. 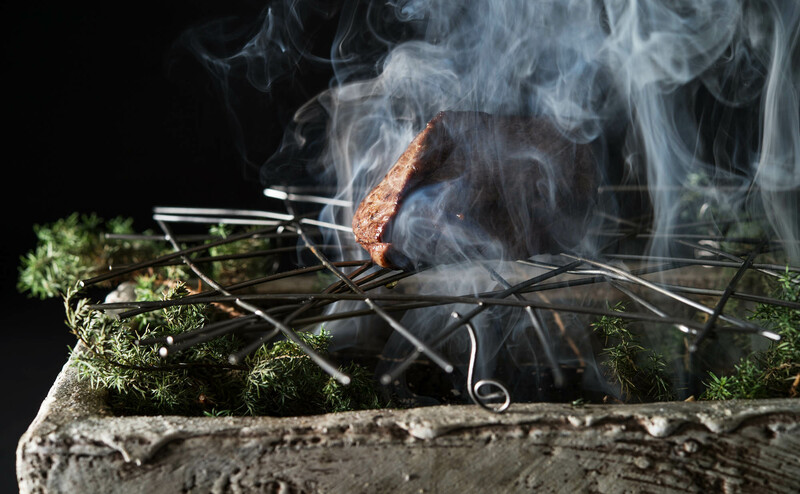 Thus, his interest now is how to incorporate more concepts of Japanese cuisine into gastronomy, perhaps even including the Japanese style of robata, slow-grilling over charcoals. He always wants to challenge himself and take new approaches, to continue to stimulate both himself and his very happy customers. Chef Ishii has a large tableware collection that includes collectable artworks, including plates adorned with Marc Chagall’s artwork. These were a gift at opening from Shinichi Sato, fellow Hokkaido chef and two-star Michelin prodigy at Passage 53 in Paris. 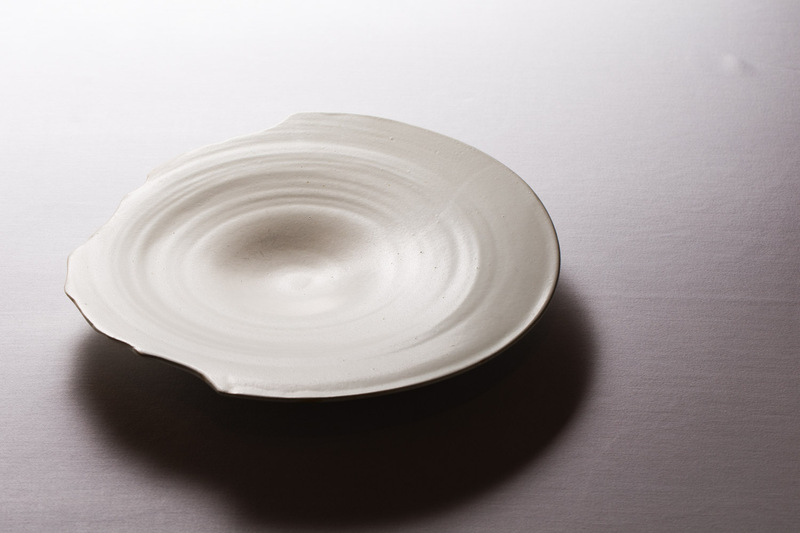 It is no surprise that Ishii’s artistic eye extends from the space and cuisine to the tableware as well. 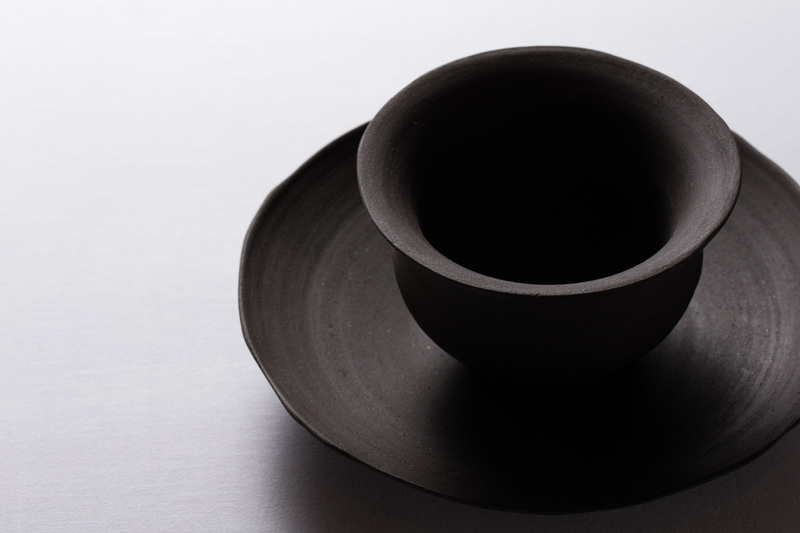 But it is fascinating to learn that Ishii has recently also started making his own tableware. 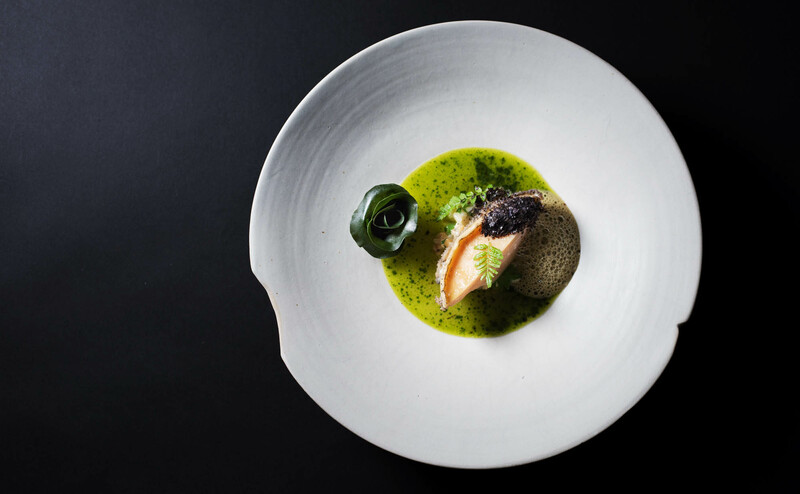 Despite having just started six months ago, he has already been able to achieve beautiful items like a smooth cream plate that looks like a broken eggshell, and a textured charcoal bowl and plate set. He joined a kiln as an apprentice, studying the basics diligently under his master. 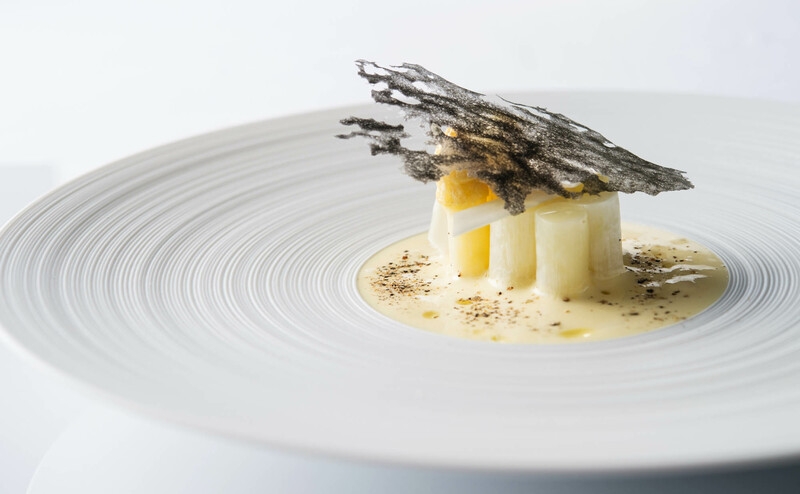 He has since been given his own space to create and loves experimenting with creations that possess Japanese character but work with French cuisine.